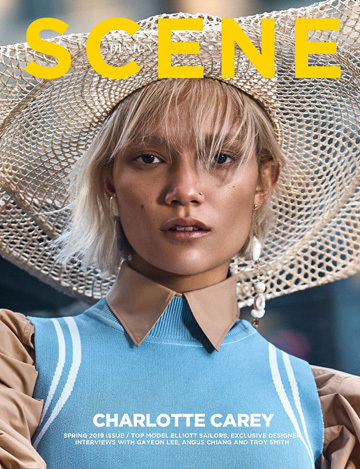 The striking Billie at Elmer Olsen stars in My Presence is a Present story captured exclusively for DESIGN SCENE STYLE by fashion photographer Yugo Takahashi. Styling is work of Felicia Ann Ryan, assisted by Heather Loduca, with hair and makeup by beauty artist Vanessa Garland. Photo assistance by Michelle Davis.